The Canada-based training company InfiniteSkills Inc has developed a 27-hour training video series on the newest version Rhinoceros 3D, the popular NURBS-based design and modeling suite developed by Robert McNeel & Associates. With both a beginner-targeted and more advanced course, the company has launched its two titles individually on DVD-ROM for $99.95 and as a discounted bundle for $149.95 USD. 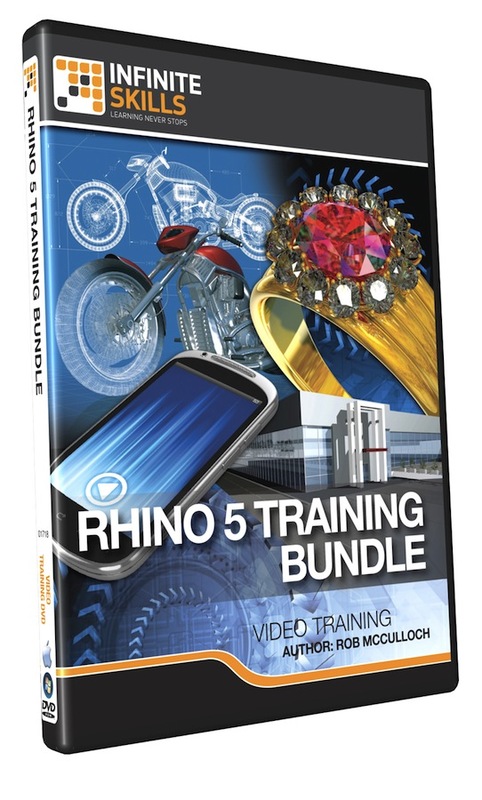 Authored by Rob McColloch of the Studio Red5 design firm, The beginners Rhino 5 Training introduces the basic concepts and techniques for curve-based solid modeling and surfacing as they can be applied to product design and rapid prototyping. McColloch includes central product modeling examples such as a tire and rim, a grooved plastic safety razor with grips, and a mobile phone. Topics covered include drawing and editing NURBS curves, extruding and blending surfaces, booleans, transforms and basic texturing and rendering. In the advanced course, McColloch builds on the introductory lessons and also moves into new features introduced by McNeel in Rhino 5. Viewers learn techniques such as the shell polysurface command, object grouping and alignment, dimensioning, and working with block instances. The advanced course features more intricate product modeling exercises, including a desk lamp, a car hood, a ring, a boat hull, and a power drill. 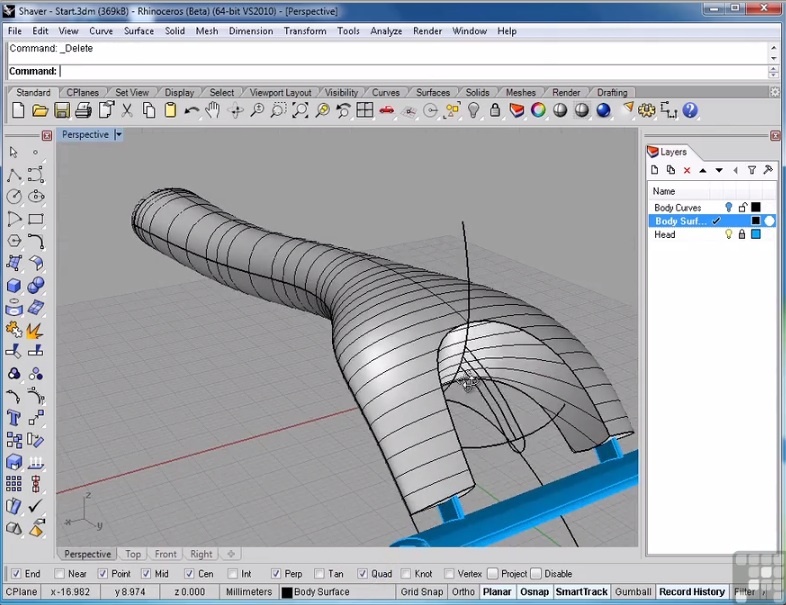 Viewers also get an extended lesson in 3D rendering using the KeyShot plugin. Rob McColloch has taught Rhino, product development, and interaction design courses for 14 years, first at the University of Michigan and currently at the College for Creative Studies in Detroit, Michigan. His video training lessons for InfiniteSkills are adapted from his classroom courses to meet the needs of computer-based, self-paced learning. In addition to Rhino, InfiniteSkills also offers comprehensive tutorials on AutoCAD, SolidWorks, Inventor, and MicroStation. All of the company’s DVD-ROM courses may alternatively be purchased as a DRM-free instant download. More information on the Rhino 5 training series, including free demos, can be found on the InfiniteSkills website. About the author: Chris Johns is the content coordinator for the training company InfiniteSkills. In addition to handling social media and marketing duties, he works to build relationships with software manufacturers and enthusiast sites through sharing content, hosting contests, and doing the occasional giveaway. He lives and works in Austin, Texas. Previous post: Looking for a Product Designer? Next post: Is 3D Printing the Future of Innovation or Asking for Trouble?